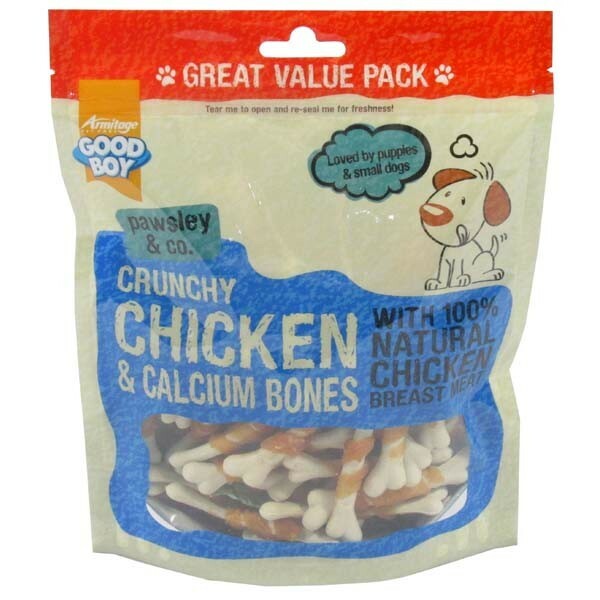 Good Boy Crunchy Chicken & Calcium Bones are now available in a 350g re-sealable bag, that's great value for money and ideal for owners with several dogs that like to treat or reward them. 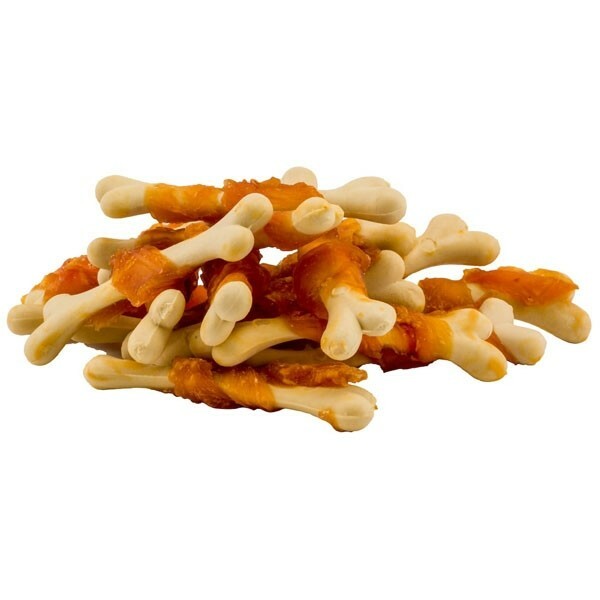 The crunchy calcium bones are made using real chicken breast meat that is oven baked and wrapped around a crunchy white calcium shaped bone, that are suitable for adult dogs and puppies too. These delicious bones are high in protein and low in fat, but also contain NO artificial colours or flavours. Each value pack of good boy chicken & calcium bones contains 2% calcium and only 1% fat, making them a healthy alternative to many dog treats found in your local supermarket.